New Patients receive 20% off their entire first order. $50 off for every new patient you refer. We accept returns if you are not satisfied. We test our products' terpene profile. 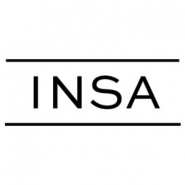 At INSA, we specialize in every step of the medical cannabis process, from sourcing to growing to creating and dispensing meticulously crafted medical cannabis products that suit your unique needs. The result is a medical cannabis experience that’s trustworthy and effective, personal and handcrafted. INSA was founded on the simple belief that patients in our community deserve better. They deserve better medical cannabis products and better access to medical cannabis. In Massachusetts, we have witnessed firsthand the destruction opioids have caused in our community. We strongly believe that cannabis is a better, safer option that should be accessible to patients. Our goal is to eliminate the stigma of medical cannabis by educating people about the medical benefits and using a research-based approach to product development in order to create personalized, premium products. To this end, we have developed a state-of-the-art cultivation center and lab, sourced genetics with rich terpene and cannabinoid profiles, hired talented professionals, all in order to craft a unique and top-notch medical cannabis dispensary experience. Everything we do at INSA is to improve the quality of life for our patients and our communities.